So, York had been on my list for time, being attracted to its historical charm I wanted to see if it was really just a Shambles! Before there was a New York it started with York, representing that former Viking and Roman settlement had to be done before I returned to China. York's Minster had me looking for the Madonna and those Adventures had searching for their hall! Literally jumping off at York as my Leeds train pulled into the station, I had my game face on to get those key photos I wanted before the masses of tourists would crawl out of the woodwork, I was on a mission for true! Wasting not a second I made my way to the Shambles without haste, I wasn't about to be getting crazy over a good photo, I had that covered! Rewinding the clock back to York's Anglo-Saxon days I was transfixed by that winding street that looked even better in person, securing my snaps I relaxed into that moment before the masses had even arrived. The architecture impressed ten fold and then some more, it had been an English dream of mine to see that former meat street! Comprised with tourist appropriate haunts that supplied the usual UK souvenirs, looking closer I saw a lovely looking tea room, Betty's could keep their brew thank you very much for I wasn't entertaining any queues! O, I was ready! Those timber-framed buildings were serving 14th century realness without a shadow of a doubt, planting a scene from some medieval time way back when York could well have been called Jorvik? 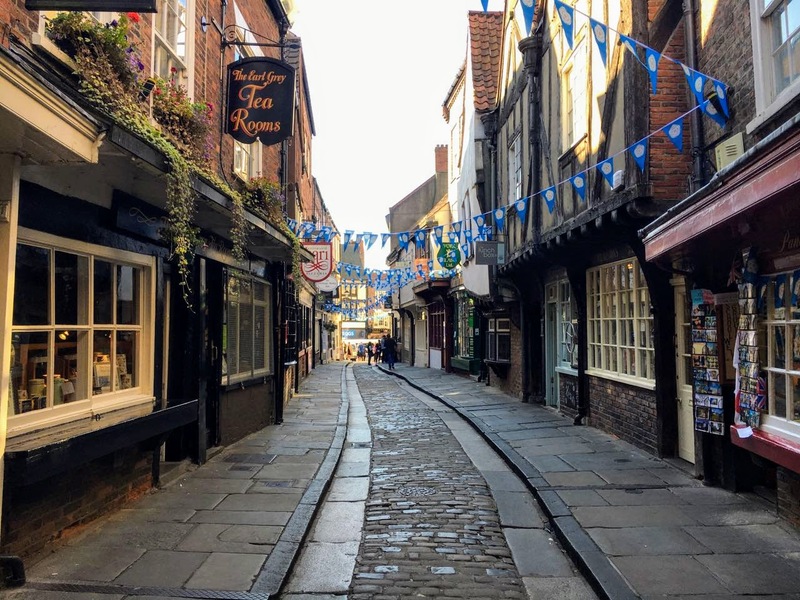 I was content with my find, moving onwards to another part of that exclusive showcase city I vowed to myself that I would return to the Shambles to take a closer look when more of the businesses had opened. The Earl Grey Tea Room didn't have a queue, it was quaint and very inviting so I had nothing to loose, giving it a try I dined inside the front room with a pot of English Breakfast tea and ate two toasted tea cakes because the lady on the next table had some, they looked so good I had to try some for myself. The overall experience was really good but one of the guys tone wasn't very complimentary, that shade was noted but did nothing to dent my time along the Shambles. My timing had been perfect, from those first glimpses to leaving after my spot of tea it was an absolute pleasure Y! So, York became like a beating heart, growing busier with more tourists making their way to the grand York Minster. I didn't have any songs of praise in my head but I was intrigued to see inside the vast cathedral that had been causing a commotion since 4th century. I wasn't in a rush, taking my time to walk around York's main focal point. It was a definite hit with the Chinese market as many tourists were talking that Mandarin language with some hailing from Hong Kong also, but they spoke Cantonese. The intricate stained glass shone in the autumn sun during that mid morning time, I'm not a religious soul but it was pleasing to see such a sight. Casting my mind back to my Qingdao church experience I could see why such a house of god like York Minster was a big hit with those Middle Kingdom visitors. I was looking for the Madonna, not the 'Like A Prayer' singer, no the Virgin Mary because the statues are lovely! 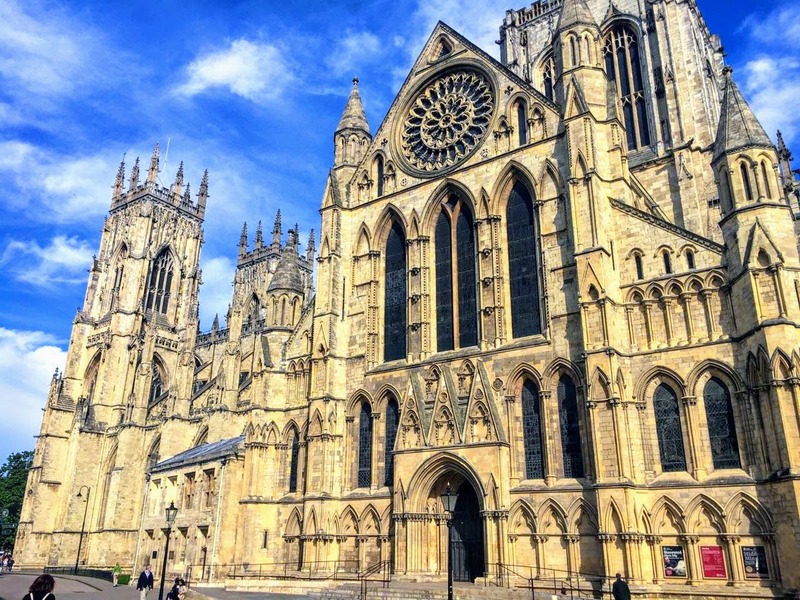 York Minster might have not been part of the Roman Catholic church but before the days that York Minster stood there was a Roman palace. Out of the corner of my eye I could see the statue of Constantine The Great, hearing about a former Roman palace I was schooled about a former religious fortress. One excavated Roman column still stands, causing quite a stir I didn't get crazy but from that point of view I appreciated the rich history York presented to me. Contrary to belief Constantine The Great didn't stay in York for long but he must have left something quite remarkable? From that modern day view a clash cultures and times definitely stood before me. 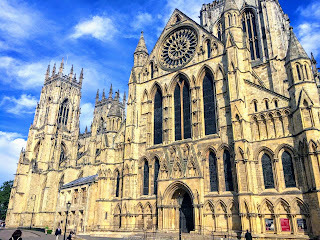 York Minster had shown me what I had wanted, standing strong as one of York's main sights for all to see and with a vast intertwining history with the Romans it impressed me much! York had been drastically different compared to Leeds but the difference was giving me life for certain! 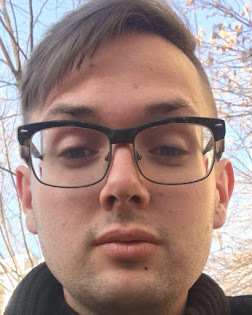 Actually, I saw tones of Cambridge! Before New York there was York, I tried to delve further into that moment in time as I had the privilege to live just over the Hudson River from the Big Apple during my airport days. Nevertheless, not letting that chestnut go I knew that NY's origins started in York so I was cool with that point. My final point of interest discovered during my day in York was the Merchants Adventurers' Hall. 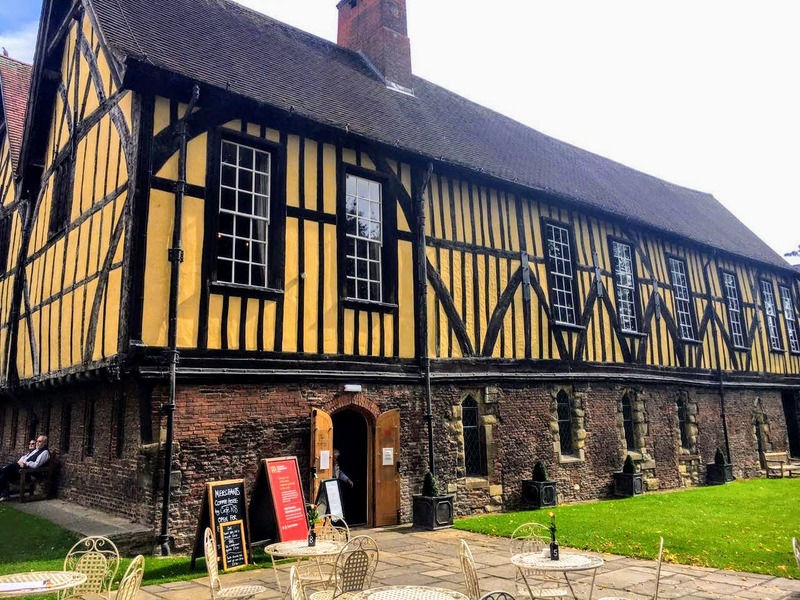 Dating back to 1357 this period building had seen some tough times throughout the years, from the rule of Queen Elizabeth I during those medieval days. Specifically comprised of an influential group of powerful men and women, their ventures contributed to many good deeds and noble things for the community. Housing a chapel and a hospital this Adventurers' Hall had many functions for different purposes. Did this institution have anything with the Mayflower or any of the pilgrims that set sail for a New kind of York? Y, I was tired! This country persists to have pricey rail prices and the coach timetable saw me staying in a hostel overnight before my Megabus the next day back to the West Midlands. The hostel was basic but surprisingly comfortable, I was able to practice some of my Chinese language skills because I had a sneaking suspicion that the guy in the same bunk as me was from the Middle Kingdom. We had the usual conversation about our reasons of being in each others countries and the grave state of high speed rail in the United Kingdom or the serious lack of it! 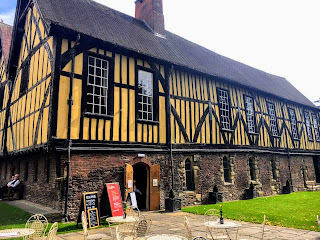 York had shown me everything that I had set out to see, I felt very contented to have seen the Shambles from a less crazy view first time around, the lofty ceiling of the grand York Minster followed by the Merchant Adventurers' Hall for good measure. The north of England had been something I wasn't expecting, for that reason it felt good by seeing the three sights in did in the city of York! Sorry Jorvik I wasn't paying for you! No, no Y!